President Donald Trump will raise the case of two American citizens being held against their will in China over a political dispute with their father, he noted before departing Thursday for Argentina. “I will be bringing it up,” Trump said. The Trump administration has highlighted the case of the held American citizens in recent days ahead of a planned meeting with Chinese President Xi Jinping in Argentina at the G20 summit over the upcoming weekend. The two American citizens are children of a former high ranking Chinese official accused of playing a major role in defrauding a major Chinese banking institution. The children say they have no contact with their father and have been held in China since June 2018 after visiting to try to see their ailing grandmother. “We are being held here as a crude form of human collateral to induce someone with whom I have no contact to return to China for reasons with which I am entirely unfamiliar,” hostage Cynthia Liu wrote in a letter to National Security Advisor John Bolton. Bolton elaborated in a Monday briefing. 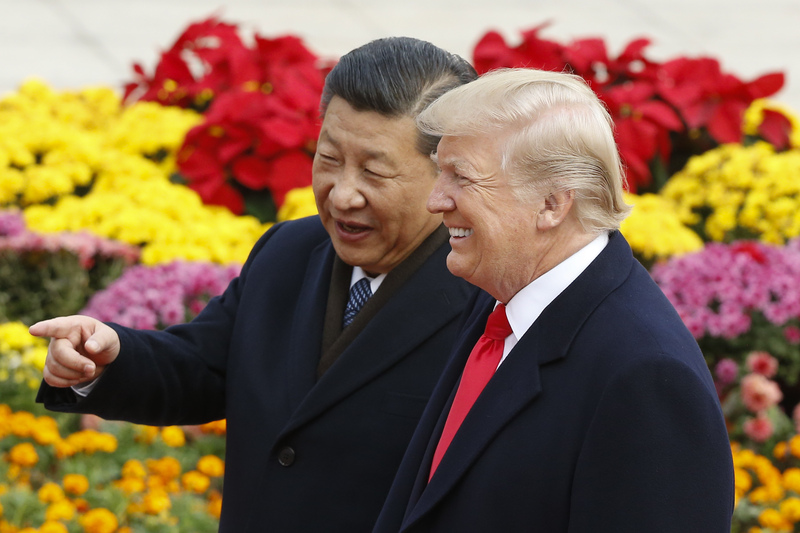 “I think, given that the range of issues that President Xi and President Trump will be covering, it’s entirely possible that that would come up,” he said.